This week of excitement is plugging along nicely and there is MORE on the way soon. 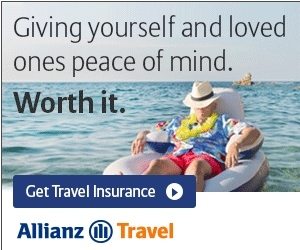 Boy, has there been a ton going on here at Delta Points and in all of “blogland” with the 75,000 point AMEX card – DEAD NOW (but you have to run $10,000 to get the points – not for me – as I am working on my Delta Reserve card), to controversy from one end to the other. Wow! I also promised to have an email reader giveaway. How about just cash (in the form of a gift card). 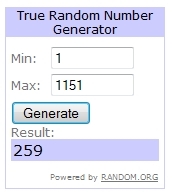 I used Random.org and today’s $25 gift card winner is old school subscriber # 259 Ryan T.! Congratulation Ryan, I will contact you via email. 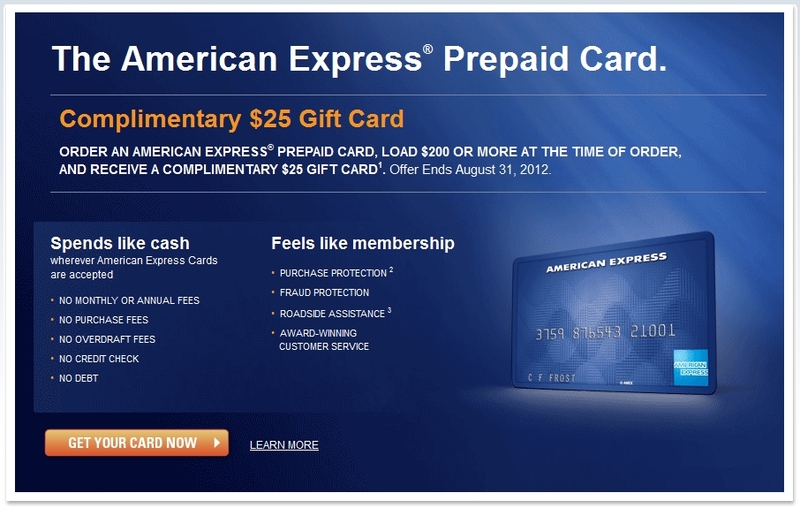 While we are talking FREE cash, I have not blogged about the kool deal with AMEX if you buy and LOAD $200 from your checking account to a prepaid card you also get a FREE $25 from AMEX. 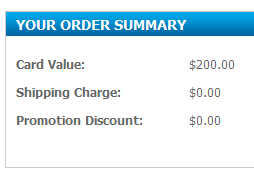 There is NO credit pull, NO shipping charge or anything! So is 5 min of your time worth $25? So why don’t we try this, since I took advantage of this deal as you can see, I will soon have one of these FREE $25 gift card on the way that I will now giveaway to a random reader 24 hrs from now. Here is how you enter. You must tell me what your favorite Delta Points post is this year. The only thing that will disqualify you is if you say THIS ONE! ← 100,000k KLM business class & Air France business class Skymiles seats to Sweden – I always get them & they are always work! January 4th “A Deltapoints guide to “churning” Delta Amex cards and more” is what got me to following your blogs in the first place. Great post. July 15…it was exciting!! and frustrating too. Free Office Max items…and earn points! The post asking for input about your blog. Again, July 29 text alert. The new text alert feature. I really liked yesterday’s post. Sorry, I couldn’t resist. Your failed Cleveland Clinic IHG trip. It may having nothing to do with points and miles but these videos are awesome! Thanks for the gift card Rene! Loved the Q and A. Had to be one of my favorites! I like the idea of text alerts, that was one of my favorite posts, thanks! A while ago you did a couple of posts (and tied them together) explaining the various BE seats throughout the Delta fleet – I found those helpful. “The never ending 90% off Restaurant.com deal and 5% Freedom UR points NUMMY!” Thanks René! Fav post is the awesome 100,000k KLM business class & Air France business class Skymiles seats to Sweden. This is very useful info at the right time. I enjoy all the 100K awards to Europe posts because it shows that one can actually use the “Skypesos”! Sorry I don’t remember the specific dates, but I love all the ones where you describe your point and discount coupon trips! My favorite post will be tomorrow’s, when you announce that I’m the winner! Quick question…how did you take advantage of $25 prepaid card offer…how did u load $200 into the card…using CC or there is some other awesome way…i am missing…i will hold my guns till you respond back 🙂 Thanks again ! I enjoyed your post about your IHG Cleveland experience. The stopover/open jaw post was most informative! I enjoyed the Philadelphia trip report. Earning miles paying utility bills. The blog post on comparing Business and First Class options across Sky Team carriers. Looking forward to a continued report on that! Delta, Air France and KLM were covered. Could you earn a free domestic Skymiles ticket each year from just doing surveys? I have been an e-rewards member for years, but I have slacked off due to being rejected after 10 minutes of survey taking. I feel they get some info, then cut me off before they “pay” me, but maybe I will try to answer more surveys now if it will get me more air miles! The trip reports – always a lot to learn, put away and take out and review for my own much more limited travels. The one explaining all the different Am Ex Delta credit cards.